EBG | Network are thrilled to welcome Elina Rääsk, Corporate Responsibility Manager, Procurement Quality at Nokia Solutions & Networks. Elina will share her long experience from working with supply chain sustainability development. Like she states “The attention on environmental, social and ethical practices in the supply chain continues to intensify”. 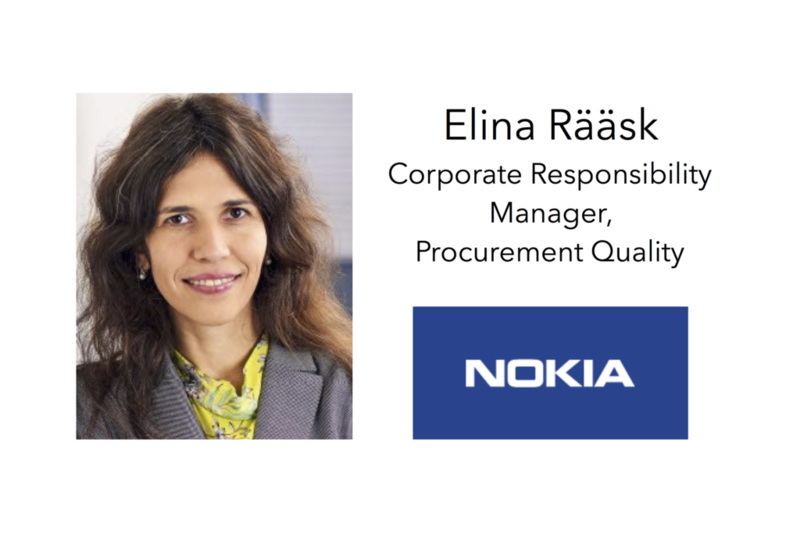 If you join Source 2 Pay Summit 2017 March 30th in Stockholm you can learn how Elina and Nokia Solutions & Networks are working with their sustainable supply chain journey and how they together with EcoVadis are evolving further. What results look like, and how to use them to drive internal and stakeholder engagement. Welcome to the 7th annual Source 2 Pay Summit held March 29th (voluntary dinner) & March 30th (main conference in Stockholm). The idea being that challenges and opportunities within sourcing, procurement and finance need to be discussed as parts of an end-to-end process. How are business strategies translated into strategies for sourcing, procurement and finance? And how are those strategies being operationalized? Who need to do what based on how you are organized in order to achieve set goals? Ad to that a changing supplier landscape and increasingly global markets and you have the layout for this summit. At Source to Pay Summit we don’t give easy answers but offer quality ways of asking questions and exchange experiences.